Former Greek Foreign Minister Nikos Kotzias, who resigned last week, said on Saturday that Athens planned to extend its territorial waters in the Ionian Sea, which flanks the west coast of the country. The planned measure would not affect the Aegean region, off Greece's eastern and southern coasts. Greek Ambassador in Ankara Petros Mavroidis was summoned to the Turkish Foreign Ministry on Tuesday, according to diplomatic sources.Sources said the ambassador was summoned to the ministry over recent remarks by Nikos Kotzias, who recently resigned as Greek foreign minister.Kotzias has said that Greece was ready to extend its territorial waters from six miles to 12 miles in the Ionian Sea. 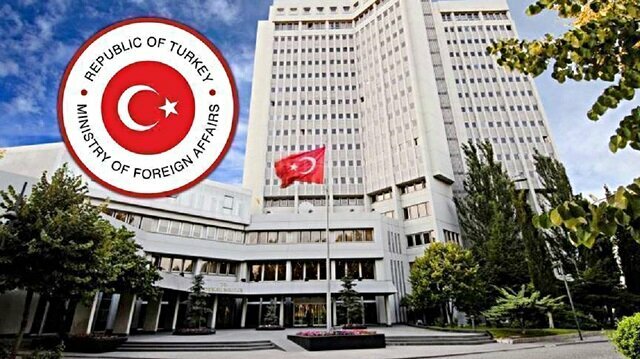 Turkey's foreign ministry, however, said that it had noted statements from Athens of plans for the gradual expansion of Greek territorial waters. "It is not possible to tolerate steps where there is no bilateral agreement on the Aegean where the two countries have mutual shores," Foreign Ministry spokesman Hami Aksoy said in a statement. The statement recalled a 1995 declaration of Turkey's parliament which had authorised action, not excluding military action, to safeguard Turkish interests. "(Parliament's) declaration...dated 8 June 1995 has the necessary political warning in this context and it still maintains its validity today," the statement added. That view had been conveyed to Greece's ambassador in Turkey, it said. As a signatory to the U.N. Convention of the Law of the Sea, Greece has said it can extend its territorial waters to 12 miles from its coast from six miles at present, though it has not sought to do so in waters stretching towards Turkey. Greece and Turkey are at loggerheads over matters ranging from sea boundaries to air space jurisdiction and the ethnically-divided eastern Mediterranean island of Cyprus. The long frozen Cypriot conflict has come into sharper focus after the discovery of natural gas in the sea around Cyprus, and attempts by its internationally-recognised government to licence oil majors for exploration. Verbal sparring over jurisdiction is common; last week, Turkey accused Greece of harassing a Turkish research vessel in the area. Greece denied this. The leaders of the two Cypriot sides, Greek Cypriot Nicos Anastasiades and Turkish Cypriot Mustafa Akinci, are due to have talks in Nicosia, Cyprus's partitioned capital, on Oct. 26. It will be their second meeting since the collapse in July 2017 of negotiations to end a conflict dating to Turkey's 1974 occupation of northern Cyprus in response to a brief Greek-inspired military coup.